Fifteen local businesses are now promoting themselves through short high-definition videos on a dedicated “Nelson Shops & Events” YouTube channel, with more being added all the time. The featured businesses range from florists to cycle shops, hardware stores to hairdressers, butchers to bookshops and counselling services to cake bakers. The two things they have in common are their presence in Nelson’s thriving business community and their enthusiasm for embracing social media to showcase what they do. The Nelson Shops & Events channel has been set up as part of a four-month campaign to promote Nelson town centre and its array of independent shops and businesses. It is spearheaded by Nelson Town Team, which appointed Burnley-based Scott Dawson Advertising to manage the campaign. Other elements include a co-ordinated social media campaign, promoting Nelson through popular social networking sites Facebook (www.facebook.com/nelsonshops) and Twitter (twitter.com/nelson_portas). 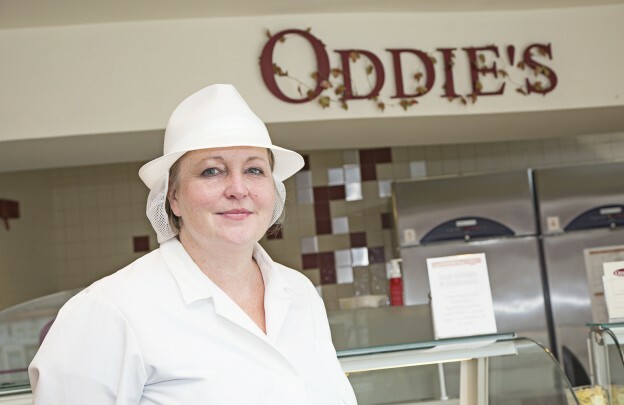 Lara Oddie is vice-chair of Nelson Town Team and owner of one of the local businesses featured on the YouTube channel, Oddie’s family bakers and cake makers. “Having the video on YouTube is a new way for us to let people know what we do and about the range of goods and services we offer,” said Lara. Banners promoting the festival will go up in the town centre for the weeks running up to it and a festival brochure highlighting all the attractions will be distributed to 25,000 local homes. To view the promotional videos simply search under “Nelson Shops & Events” on YouTube. Other local shops and businesses wanting to get involved in the promotional campaign or the Food Festival can contact Sue Lawson at Scott Dawson on 01282 423846 (email: sue@scottdawson.co.uk) to discuss the various options. This entry was posted in food festival, Nelson, Pendle Council, Scott Dawson, Shop Local, video and tagged lancashire, Nelson, oddies, videos, YouTube on August 10, 2015 by admin.